← Is it a Mental Illness or a Mental Disorder? 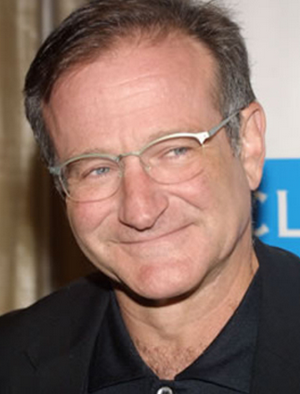 Robin Williams, a wonderful actor, had bipolar disorder. This mental illness does not discriminate. I, a long with many, are saddened by his death. I feel for his family and the many people who loved this outstanding man. Bipolar disorder is a horrible disease that is often not discussed due to the stigma attached to mental illness. It needs to be talked about and hopefully over the next few weeks, people will learn more about this illness. Many talented people over time have been diagnosed with bipolar disorder. Please see my Pinterest site for 250 of them or see Famous People with Bipolar Disorder. Mania is defined by Merriam-Webster as excitement manifested by mental and physical hyperactivity, disorganization of behavior, and elevation of mood. 2 However, if you have bipolar disorder or know someone who does, you know that this does not begin to explain mania. Although Robin Williams’s death is a tragedy, I hope something good can come from it. I hope more people learn about bipolar disorder and depression and mental illness is less stigmatized so that the rate of suicide goes down because people seek help. If you or someone you know is thinking about suicide, please get help. This entry was posted in Uncategorized and tagged bipolar disorder, depression, mania, robin williams, robin williams's suicide, suicide, suicide hotline. Bookmark the permalink.